Pursuant to subsection 38(1) of the Special Import Measures Act, the President of the Canada Border Services Agency made a preliminary determination of dumping on July 23, 2012, respecting the alleged injurious dumping of liquid dielectric transformers having a top power handling capacity equal to or exceeding 60,000 kilovolt amperes (60 megavolt amperes), whether assembled or unassembled, complete or incomplete, originating in or exported from the Republic of Korea. 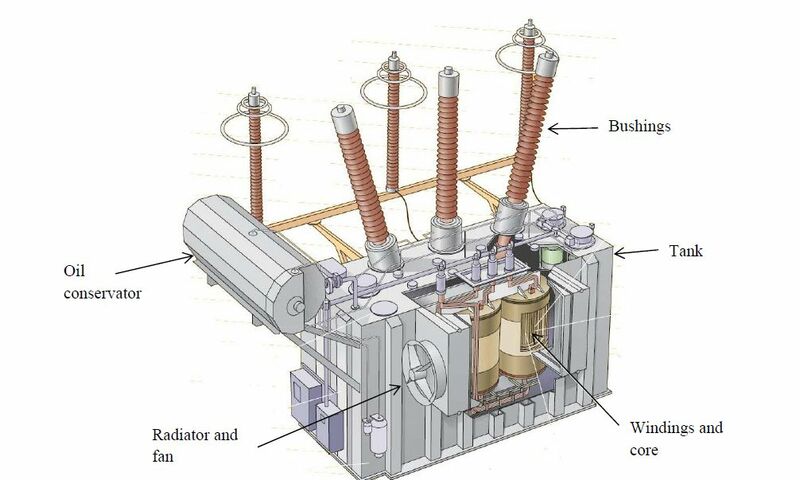 On March 2, 2012, the Canada Border Services Agency (CBSA) received a written complaint from ABB Inc. (ABB) of Varennes, Quebec, and CG Power Systems Canada Inc. (CG) of Winnipeg, Manitoba (the complainants), alleging the injurious dumping into Canada of certain liquid dielectric transformers originating in or exported from the Republic of Korea (Korea). The complainants provided evidence to support the allegations that certain liquid dielectric transformers from Korea have been dumped. The evidence also disclosed a reasonable indication that the dumping has caused injury and is threatening to cause injury to the Canadian industry producing these goods. Upon receiving notice of the initiation of the investigation, the Canadian International Trade Tribunal (Tribunal) commenced a preliminary injury inquiry, pursuant to subsection 34(2) of SIMA, into whether the evidence disclosed a reasonable indication that the alleged dumping of certain liquid dielectric transformers from Korea has caused injury or retardation or is threatening to cause injury to the Canadian industry producing the goods. On June 22, 2012, pursuant to subsection 37.1(1) of SIMA, the Tribunal made a preliminary determination that there is evidence that discloses a reasonable indication that the dumping of certain liquid dielectric transformers from Korea has caused injury or is threatening to cause injury. On July 23, 2012, as a result of the CBSA’s preliminary investigation and pursuant to subsection 38(1) of SIMA, the President made a preliminary determination of dumping with respect to certain liquid dielectric transformers originating in or exported from Korea. On July 23, 2012, pursuant to subsection 8(1) of SIMA, provisional duty was imposed on imports of dumped goods that are of the same description as any goods to which the preliminary determination applies, and that are released during the period commencing on the day the preliminary determination was made and ending on the earlier of the day on which the President of the CBSA causes the investigation to be terminated pursuant to subsection 41(1) of SIMA or the day the Tribunal makes an order or finding pursuant to subsection 43(1) of SIMA. covered all subject goods released into Canada from October 1, 2010 to March 31, 2012. The profitability analysis period (PAP) covered domestic sales and costing information for goods sold from January 1, 2010 to March 31, 2012. CG Power Systems Canada Ltd. The only other known producer of the subject goods in Canada is Alstom Grid Canada Inc. (Alstom), located in St. Jean-sur-Richelieu, Quebec. Subsequent to the initiation of the investigation, Alstom was contacted by the CBSA for purposes of requesting information concerning the complaint. Alstom did not respond to the CBSA’s request. At the initiation of the investigation, the CBSA identified three potential exporters of the subject goods under investigation based on CBSA import entry documentation and the complaint. An Exporter Request for Information (RFI) was sent to each party. Two of the exporters were located in Korea, while the third was located in the United States of America (US). The investigation revealed that during the POI, 100% of the subject imports had been shipped to Canada by the two Korean exporters. The subject goods believed to have been exported by the US company were in fact Korean origin goods that had been transshipped through the US and incorrectly declared as being exported from the US. The CBSA received responses to the Exporter RFI from both Korean exporters: Hyosung Corporation (Hyosung) and Hyundai Heavy Industries Co., Ltd. (HHI). These submissions were considered sufficiently complete for purposes of the preliminary determination. At the initiation of the investigation, the CBSA identified two potential importers of the subject goods under investigation based on CBSA import entry documentation and an Importer RFI was sent to each party. Shortly thereafter, an additional importer was identified and an Importer RFI was forwarded to this company. The CBSA received responses to the Importer RFI from all three importers: HICO America Sales & Technology Inc. (HICO), Hyundai Canada Inc. (HC) and Remington Sales Co. (Remington). Remington is also known as Remington Sales Co., Remington Transport and Hyundai Heavy Industries Canada. These submissions were considered sufficiently complete for purposes of the preliminary determination. At the initiation of the investigation, the CBSA identified five potential consignees of the subject goods under investigation and a Consignee RFI was sent to each party. The consignee is named on the customs documentation and is the company in Canada to which the subject goods were shipped. The CBSA received responses to the Consignee RFI from three out of the five companies: ATCO Electric Ltd., BC Hydro and Power Authority and Hydro One Networks Inc.
 Additional consignees were identified during the preliminary investigation. These parties were notified of the preliminary determination of dumping and requested to respond to the Consignee RFI for the final phase of the investigation. The core is made of silicon steel and is laminated with an inorganic coating. The silicon steel is layered in pieces and shaped into the legs and yokes of the core. Cores typically consist of two, three, four or five legs depending on the number of phases, capacity and transport restrictions. The core-coil assembly is then lowered into a steel tank and bolted in place. The tank is usually painted inside and out to prevent corrosion and is equipped with a cooling system. The cooling system is specified by the customer to meet its requirements. As previously stated, the complainants account for the major proportion of the production of like goods in Canada. The only other known producer is Alstom. ABB and CG are both global manufacturers of power technologies. ABB’s global head office is located in Zurich, Switzerland, its Canadian head office is located in Ville St-Laurent, Quebec, and its plant is located in Varennes, Quebec. CG’s global head office is located in Mumbai, India, and its Canadian division is located in Winnipeg, Manitoba. The CBSA estimated total imports of Power Transformers using its internal import entry documentation. During the POI, imports of the subject goods from Korea represented 30.1% of the total imports. Import statistics will continue to be reviewed and refined during the final phase of the investigation. During the preliminary phase of the investigation, information was requested from all known and potential exporters, importers and consignees, concerning subject goods released into Canada during the POI. After reviewing the exporters’ and importers’ responses to the RFIs, supplemental RFIs were sent to each of the responding parties to clarify information provided in the submissions. The preliminary determination is based on the information available to the President at the time of the preliminary determination. During the final phase of the investigation, the submissions of the exporters will be verified on-site by CBSA officers. The results of these verifications will be taken into consideration for the President’s final decision. For purposes of the preliminary determination, normal values are generally estimated based on the domestic selling prices of like goods in the country of export or on the aggregate of the cost of production of the goods, a reasonable amount for administrative, selling and all other costs, plus a reasonable amount for profits. Export price of the goods sold to the importers in Canada is generally estimated based on the lesser of the adjusted exporter’s selling price or the adjusted importer’s purchase price. These prices are adjusted, where necessary, by deducting the costs, charges, expenses, duties and taxes resulting from the exportation of the goods. Where there are sales between associated persons and/or a compensatory arrangement exists, the export price is estimated based on the importer’s resale price of the imported goods in Canada to unrelated purchasers, less deductions for all costs incurred in preparing, shipping and exporting the goods to Canada that are additional to those incurred on the sales of like goods for use in the country of export, all costs included in the resale price that are incurred in reselling the goods (including duties and taxes) or associated with the assembly of the goods in Canada and an amount representative of the average industry profit in Canada. In calculating the estimated weighted average margin of dumping, the overall estimated margins of dumping found in respect of each exporter were weighted according to each exporter’s volume of the subject goods exported to Canada during the POI. A summary of the preliminary results of the dumping investigation respecting all subject goods released into Canada during the POI follows. Based on the preceding, 100% of the subject Power Transformers from Korea were dumped by an estimated weighted average margin of dumping of 17.0%, expressed as a percentage of the export price. The estimated weighted average margins of dumping of Power Transformers from Korea is above 2% and is, therefore, not insignificant. As well, the volume of dumped goods from Korea is above 3%, and is, therefore, not negligible. Specific details relating to the two exporters that responded to the CBSA’s Exporter RFI follow. HHI is a producer and exporter of Power Transformers to Canada from Korea, its importers in Canada being HC and Remington. HHI also sells goods of the same general category in its domestic market. The subject goods produced by HHI are custom-made, produced to the specific needs of each of its customers and therefore, there are no domestic sales of like goods. As such, it was not possible to estimate normal values in accordance with the principles of section 15 of SIMA, based on domestic sales of like goods. Normal values were, however, estimated in accordance with the principles of paragraph 19(b) of SIMA, based on an aggregate of the cost of production, administrative, selling and other costs, and an amount for profits. The cost of production was estimated in accordance with paragraph 11(1)(a) of the Special Import Measures Regulations (SIMR), based on HHI’s unverified cost data associated with the subject goods shipped to Canada. The amount for profit was estimated in accordance with subparagraph 11(1)(b)(ii) of the SIMR, based on HHI’s profitable sales of transformers in the domestic market, during the PAP, within the same general category as the subject goods sold to Canada. The amount for administrative, selling and other costs was estimated in accordance with 11(1)(c)(i) of the SIMR, and are attributable to the production and sales of goods in the domestic market. Since HHI is related to one of its importers, HC, a reliability test was performed to determine whether the estimated section 24 export prices between HHI and HC were reliable as envisaged by SIMA. This test was conducted by comparing the estimated section 24 export prices with the estimated section 25 “deductive” export prices based on the importer’s resale prices of the imported goods in Canada to unrelated purchasers, less deductions for all costs incurred in preparing, shipping and exporting the goods to Canada that were additional to those incurred on sales of like goods for use in the country of export, all costs included in the resale prices that were incurred in reselling the goods in Canada (including duties and taxes) or associated with the assembly of the goods in Canada and an amount representative of the average industry profit in Canada. The test revealed that the estimated export prices in accordance with section 24 of SIMA were unreliable and therefore, export prices were estimated in accordance with the principles of section 25. The amount for profit was estimated in accordance with paragraph 22(b) of the SIMR, based on sales of goods of the same general category by vendors in Canada. Although the other importer, Remington, stated that it is not related to HHI, the evidence indicates that it may not be operating at arm’s length with its exporter. Such being the case, a reliability test was performed to determine whether the estimated section 24 export prices between HHI and Remington were reliable as envisaged by SIMA. The test revealed that the export prices estimated in accordance with section 24 were unreliable and therefore, export prices were estimated in accordance with the principles of section 25. The amount for profit was estimated in accordance with paragraph 22(b) of the SIMR, based on sales of goods of the same general category by vendors in Canada. The relationship between Remington and HHI will be further examined during the final phase of the investigation. The estimated total normal value was then compared with the estimated total export price and this resulted in an estimated weighted average margin of dumping for HHI of 16.9%, expressed as a percentage of the export price. Hyosung is also a producer and exporter of Power Transformers to Canada from Korea, its importer in Canada being HICO. Hyosung sells goods of the same general category in its domestic market. The subject goods produced by Hyosung are also produced to the specific needs of each of its customers. There are no sales in the domestic market of like goods and therefore, normal values were estimated based on the principles of paragraph 19(b) of SIMA, based on an aggregate of the cost of production, administrative, selling and other costs, and an amount for profits. The cost of production was estimated in accordance with paragraph 11(1)(a) of the SIMR, based on Hyosung’s unverified cost data associated with the subject goods shipped to Canada. The amount for profit was estimated in accordance with subparagraph 11(1)(b)(ii) of the SIMR, based on Hyosung’s profitable sales of transformers in the domestic market, during the PAP, within the same general category as the subject goods sold to Canada. The amount for administrative, selling and other costs was estimated in accordance with 11(1)(c)(i) of the SIMR, and are attributable to the production and sales of the goods in the domestic market. Since Hyosung is related to its importer, HICO, a reliability test was performed to determine whether the estimated section 24 export prices between Hyosung and HICO were reliable as envisaged by SIMA. The test revealed that the export prices estimated in accordance with section 24 were unreliable and therefore, export prices were estimated in accordance with the principles of section 25. Again, the amount for profit was estimated in accordance with paragraph 22(b) of the SIMR, based on sales of goods of the same general category by vendors in Canada. The estimated total normal value was then compared with the estimated total export price and this resulted in an estimated weighted average margin of dumping for Hyosung of 17.4%, expressed as a percentage of the export price. Based on the information available to the President, on July 23, 2012, the President made a preliminary determination of dumping with respect to certain liquid dielectric transformers originating in or exported from the Republic of Korea, pursuant to subsection 38(1) of SIMA. The President also considered that the imposition of provisional duty is necessary to prevent injury from the dumped imports. On June 11, 2012, counsel for HICO and Hyosung made representations to the CBSA concerning the imposition of provisional duty in the event that the Tribunal made an affirmative preliminary determination of injury and the President of the CBSA made an affirmative preliminary determination of dumping. On this same date, counsel for HHI, HC and Remington indicated their support for HICO and Hyosung’s position. The absence of provisional duty will not lead to the circumvention of any possible future anti-dumping duty as it would not be possible for importers to import and stockpile the subject goods during the provisional period. It was further stated that, due to the nature of the products covered under the investigation, the imposition of such duties is fundamentally unfair as the importers and their Canadian customers could not have foreseen the imposition of such a duty at the time of sale nor could they have taken any commercial steps to protect themselves at that time. Counsel requested that, if a preliminary determination of dumping is made, the President should determine the imposition of provisional duty is not necessary to prevent injury, retardation or threat of injury within the meaning of subsection 8(1) of SIMA and provisional duty will not be imposed. On June 29, 2012, counsel for the complainants made counter-representations to the CBSA concerning the imposition of provisional duty. Counsel submitted that, although the terms of subsection 8(1) allow for the President to consider circumstances in which the imposition of provisional duty is unnecessary, no such circumstances exist in this investigation. Counsel for the complainants argued that the representations made on behalf of HICO and Hyosung are not supported by the record of evidence and that they lack a legal basis under SIMA. It was further argued that the record of evidence shows it would be possible to produce and ship a transformer within the 120-day provisional period. Further, counsel argued that it was for HICO and Hyosung to have provided compelling evidence to demonstrate that circumstances exist in this investigation that render the Tribunal’s preliminary determination of injury or threat of injury, to be, for whatever reason, inapplicable during the provisional period. Counsel stated that no such evidence was submitted and requested that the President reject as unfounded the request made on behalf of HICO and Hyosung to forego the imposition of provisional duty in this investigation. The CBSA considers that the imposition of provisional duty is necessary to prevent injury. Such duty was put in place at the preliminary determination of dumping. While the product under investigation involves a capital good with long production timeframes, the circumstances surrounding the imposition of provisional duty for this investigation are not unique. There have been several investigations in the past involving seasonal goods, such as bicycles, barbeques and footwear, in which orders were placed well in advance of the importations. Likewise, there have been past investigations involving long-term supply contracts. In each of these investigations, the parties involved could not have foreseen the dumping investigation that resulted in the imposition of provisional duty on product that was ordered before the initiation of the investigation. As for whether the imposition of such unforeseeable duties is unfair, subsection 8(1) of SIMA requires the President to impose provisional duty if he considers them necessary to prevent injury, retardation or threat of injury, which is the case here. There is no possibility for discretion based on contracts made in advance of the imposition of the provisional duty. Furthermore, contrary to counsel’s arguments that provisional duty will have no effect on the injury or threat of injury from past sales, on June 22, 2012, the Tribunal made a preliminary determination that there is evidence that discloses a reasonable indication that the alleged dumping has caused injury or is threatening to cause injury to the domestic industry. As part of its analysis, the Tribunal noted that the complainant’s financial data for 2012, 2011 and even possibly 2010 may reflect orders made within the POI. It also found that the allegations of underbidding by the subject goods in relation to specific bid opportunities provides a reasonable indication that the dumping of the subject goods has caused lost sales and/or revenue for the complainants. It went on further to state that, given the considerable amount of time that is required to produce Power Transformers, the domestic industry’s financial performance in the near future could be negatively affected by orders that were lost during the POI. Finally, it should be noted that importers have the option of posting a bond to cover assessments of provisional duty pending the Tribunal’s final decision on the question of injury. For these reasons, the CBSA considers that the imposition of provisional duty is necessary to prevent injury. Pursuant to subsection 8(1) of SIMA, provisional duty, payable by the importer in Canada, will be applied to dumped subject goods that are released during the provisional period commencing on the day the preliminary determination is made and ending on the earlier of the day on which the President causes the investigation to be terminated, pursuant to subsection 41(1), or the day on which the Tribunal makes an order or finding. Provisional duty is based on the estimated margin of dumping, expressed as a percentage of the export price of the goods. Appendix 1 contains the estimated margin of dumping and the provisional duty payable on the subject goods released from the CBSA on and after July 23, 2012. As previously noted, HHI and Hyosung were the only exporters of the subject goods to Canada during the POI. In the event that subject goods from another exporter are released from customs during the provisional period, provisional duty will be based on the highest amount by which the normal value exceeded the export price on an individual transaction during the POI as estimated for an exporter with a complete submission. The amount of provisional duty payable would be 72.7% of the export price of the goods. Importers are required to pay provisional duty in cash or by certified cheque. Alternatively, they may post security equal to the amount payable. Importers should contact their CBSA regional customs office if they require further information on the payment of provisional duty or the posting of security. If the importers of such goods do not indicate the required SIMA code or do not correctly describe the goods in the import documents, an administrative monetary penalty could be imposed. The imported goods are also subject to the Customs Act. As a result, failure to pay duty within the specified time will result in the application of the provisions of the Customs Act regarding interest. In the complaint provided to the CBSA, it was suggested that targeted dumping may have occurred, given the nature of the subject goods and the activities of the Korean exporters in the Canadian market. Accordingly, it was requested that the CBSA gather data to allow for a full examination of this issue. Targeted dumping is a practice whereby exporters engage in dumping through sales to targeted groups, such as certain purchasers, regions or periods of time. These dumped sales are masked through other sales to non-targeted groups. In these exceptional circumstances, subsection 30.2(2) of SIMA provides that the margin of dumping may be based on a set of export transactions that the President considers relevant. The CBSA conducted an examination of this issue during the preliminary phase of the investigation. The analysis did not reveal significant variations in prices among purchasers, regions or time periods. Accordingly, for purposes of the preliminary determination, the CBSA is satisfied that targeted dumping did not occur during the POI. This issue will be further reviewed during the final phase of the investigation. The CBSA will continue its investigation and the President will make a final decision by October 22, 2012. If the President is satisfied that the goods were dumped and that the margin of dumping is not insignificant, a final determination will be made. Otherwise, the President will terminate the investigation and any provisional duty paid, or security posted, will be returned to importers. The Tribunal has begun its full inquiry into the question of injury to the Canadian industry. The Tribunal is expected to issue its finding by November 20, 2012. If the Tribunal finds that the dumping has not caused injury, retardation, or is not threatening to cause injury, the proceeding will be terminated and all provisional duty collected, or security posted, will be returned. If the Tribunal makes a finding that the dumping has caused injury, retardation or is threatening to cause injury, anti-dumping duty in an amount equal to the margin of dumping will be levied, collected and paid on imports of subject goods. Acceptable undertakings must account for all, or substantially all, of the exports to Canada of the dumped goods. In the event that an undertaking is accepted, the required payment of provisional duty on the goods would be suspended. In view of the time needed for consideration of undertakings, written undertaking proposals should be made as early as possible and no later than 60 days after the preliminary determination of dumping. Further details regarding undertakings can be found in the CBSA’s Memorandum D14-1-9, available online at: www.cbsa-asfc.gc.ca/publications/dm-md/d14/d14-1-9-eng.html. A notice of the preliminary determination of dumping will be published in the Canada Gazette pursuant to paragraph 38(3)(a) of SIMA. Tribunal Determination and Reasons at the Preliminary Determination, page 11 (NC). CBSA Exhibit 2, NC version of the complaint, pages 39 and 40.